Stonehouse History Group is grateful to Philip and Alex Walmsley, who have recently donated a large collection of photographs, cuttings and documents which belonged to local historian Jack Anderson. History Group members have scanned the collection and deposited some of it at Gloucestershire Archives where it can be accessed for research. 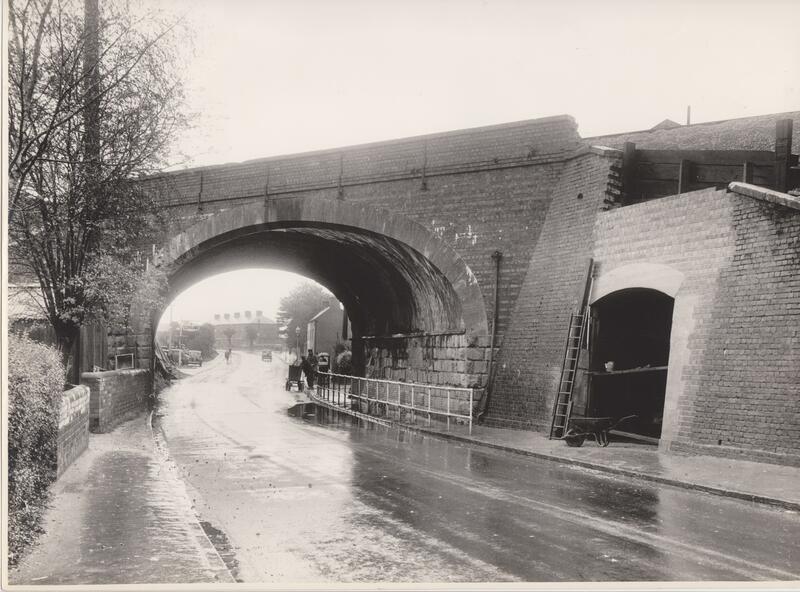 The photographs range in date from 1864 to the 1980s and show how the town has changed over the years. 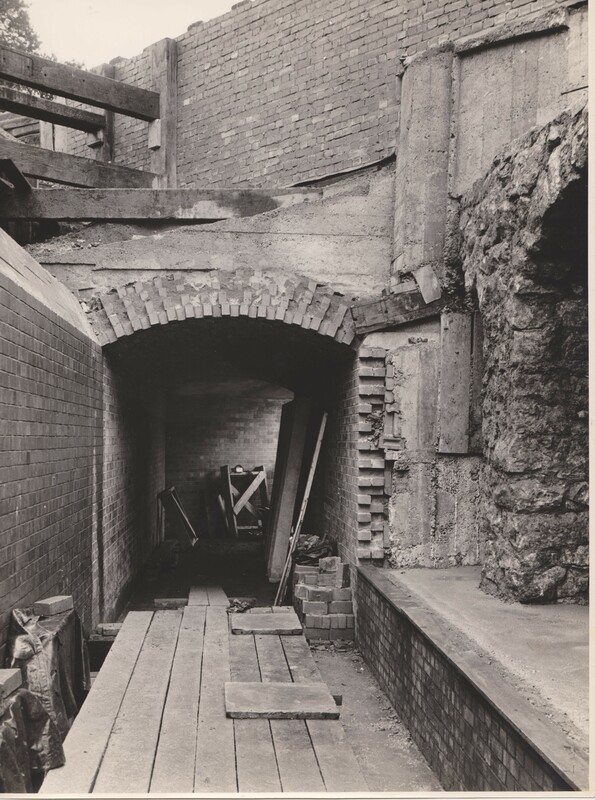 In the collection are photographs of the construction, in 1957, of the pedestrian subway under the GWR railway bridge over High Street and Gloucester Road. 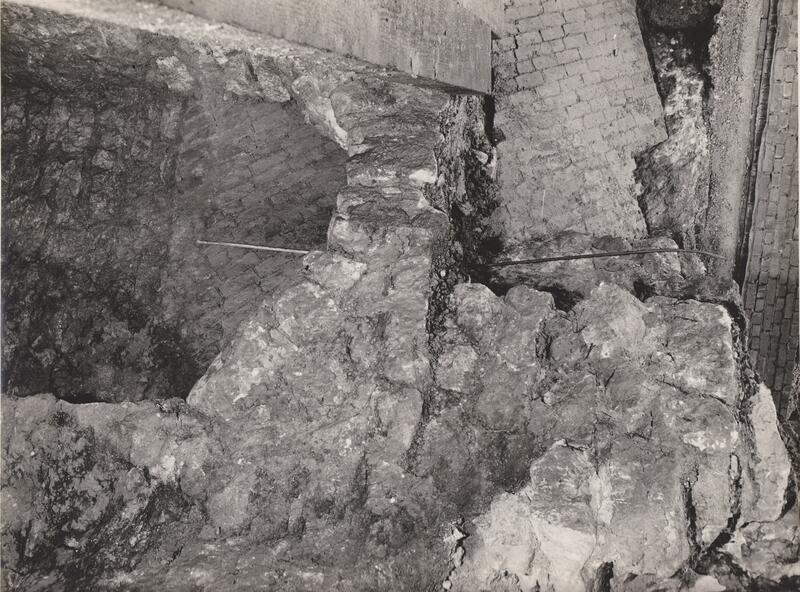 During the building work, some of the original structure of the railway bridge was revealed. There were some interesting stone arches hidden under the embankment. 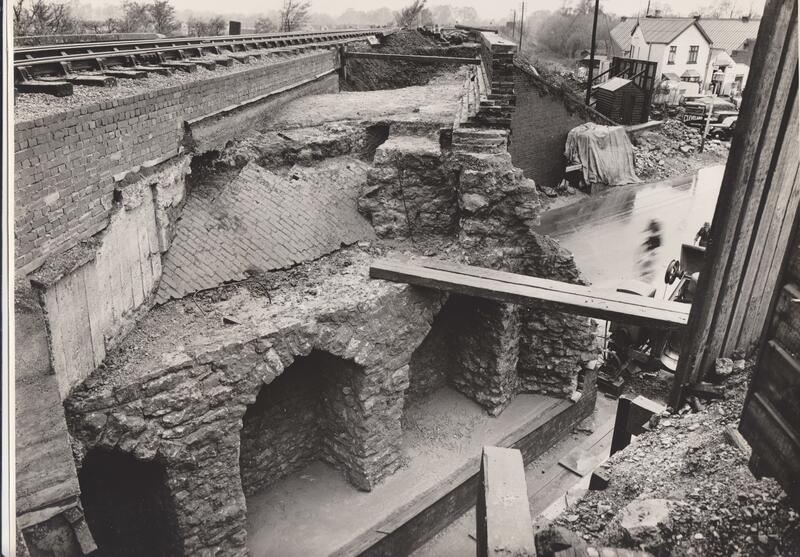 We were curious as to why they had been constructed and originally thought that they were remains of old cottages which were demolished to make way for the railway. 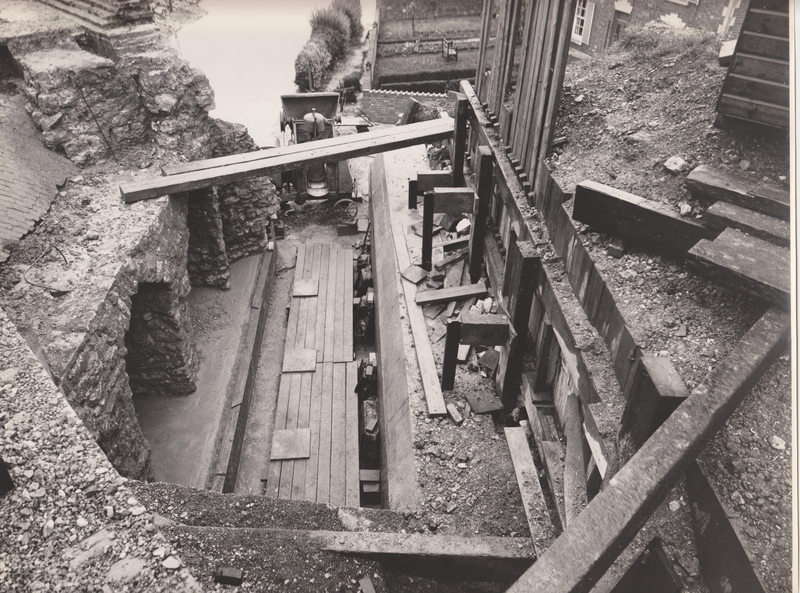 However, having done some research and consulted with members of Gloucestershire Industrial Archaeology Association, we think that they were constructed at the time of the original bridge in around 1845 to strengthen it.